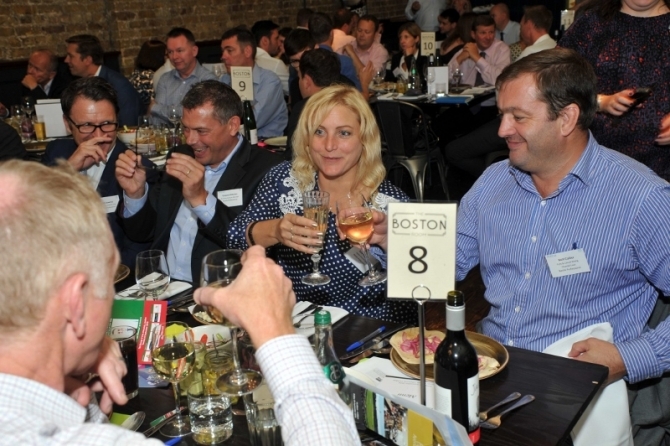 On Tuesday 6 September 2016, Arena launched an exciting new event. 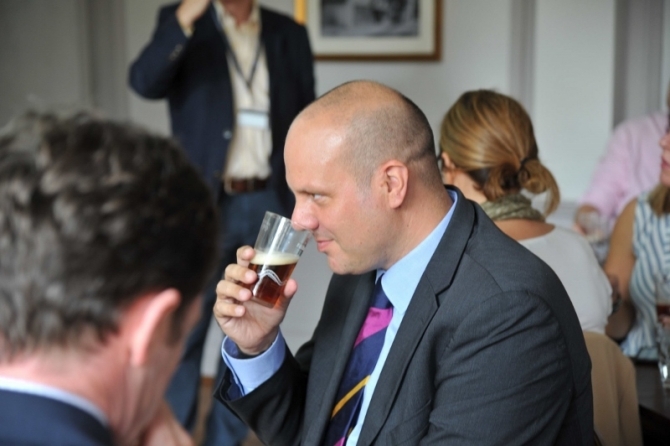 ‘Pub sector: The changing landscape’ with Jonathon Swaine, Managing Director, Fuller's Inns was specifically designed to navigate and debate the changes, challenges and opportunities affecting the vibrant pub sector. 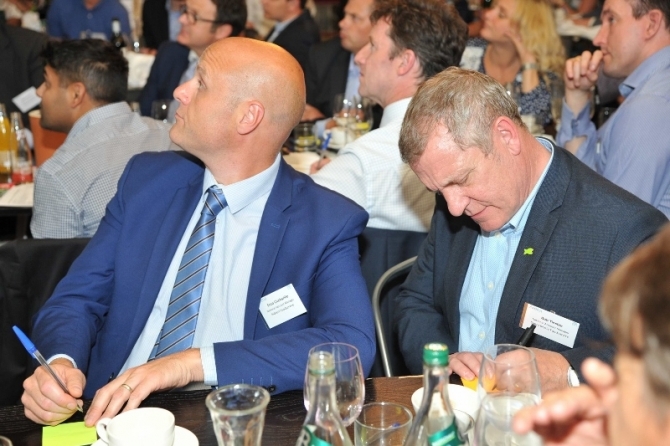 The fascinating event included a sector insight presentation by Horizons followed by a sit down lunch and inspiring keynote speech by Jonathon Swaine. 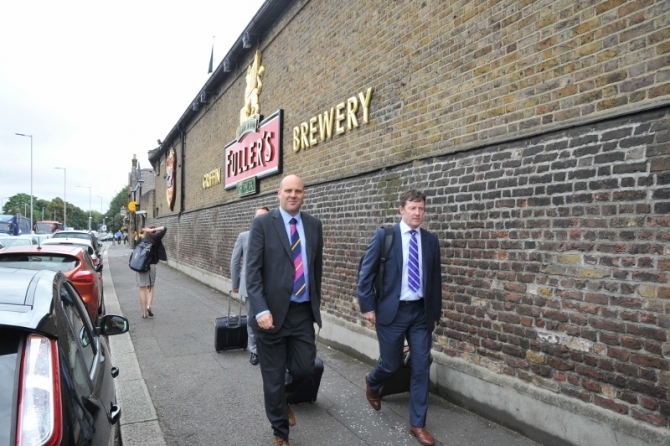 Chiswick, the home of Fuller's beer, was an obvious location for Arena's newest event – Pub Sector: 'The changing landscape'. 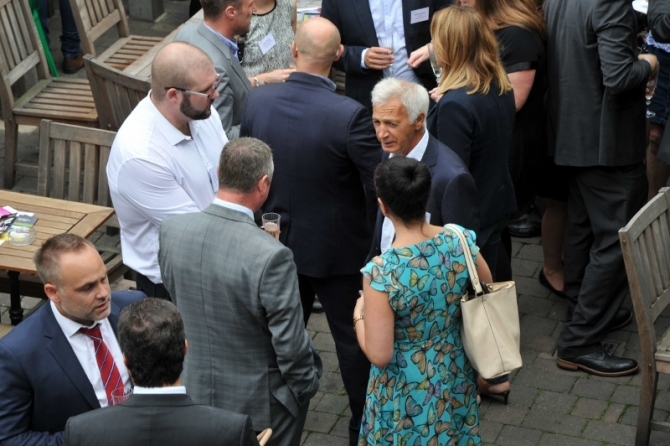 The sell-out event gave insight and thought to the evolution and challenges of the vibrant UK pub sector in the hospitable and apt setting of Fuller's The George IV pub. The multi-faceted event stimulated guests' senses in all things 'pub sector' throughout; from the fascinating tour of Fuller's Griffin Brewery, craft beer tasting with Fuller's head brewer, John Keeling, and fine pub fare, through to Horizon's insight presentation and the upbeat, interactive keynote address by Jonathon Swaine, Fuller's Inns' managing director, and not forgetting the lively interaction between the 110+ guests. 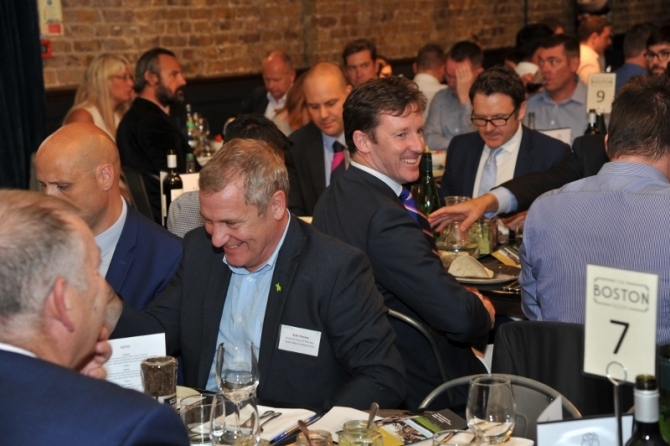 Peter Backman of Horizons set the scene with a tour of the pub sector that took in the past 35 years, a period of good growth for the overall eating out market. The pub sector has mirrored this upward performance, increasing its share of the eating out market from 18% in 1981 to 32% in 2015. Peter credits pubs with making eating out more accessible. Long before the explosion of the casual dining market, pubs allowed people to eat out relatively cheaply and to try new things. In the late 1970s pubs were primarily a place for drinking but the beginnings of serving food were visible. The years that followed saw the change to a focus on food that is established today. 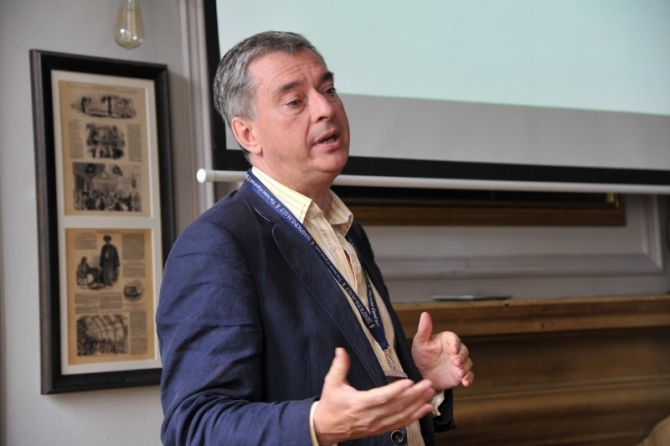 A combination of factors, including the beer orders of 1988 that broke the monopoly of breweries, the subsequent emergence of pub cos, an increase of brands, and a global decline in alcohol sales, contributed to the explosion of food in the pub sector from the late 1990s. Food provided stability and growth for the sector and it has made a success of it, serving, in Peter’s words, “jolly good food overall”. Today food continues to grow in importance. Like cafés, pubs have evolved into social places that are open to children and appealing to the female market, and the food share of managed sales having increased from 38% in 2008 to 43% in 2015. Identifying the opportunities and potential changes afoot, Peter cited: breakfast, a fast-growing day-part that a majority of pubs are yet to embrace; food delivery, a game changer for the whole industry; the impact of healthy eating and lifestyles on menus; personalisation, as consumer in the 'me culture' look to exert control over the food they eat; and food and flavour trends, including the continued growth of Americana and emerging new flavours from around the world, such as Kimchi. 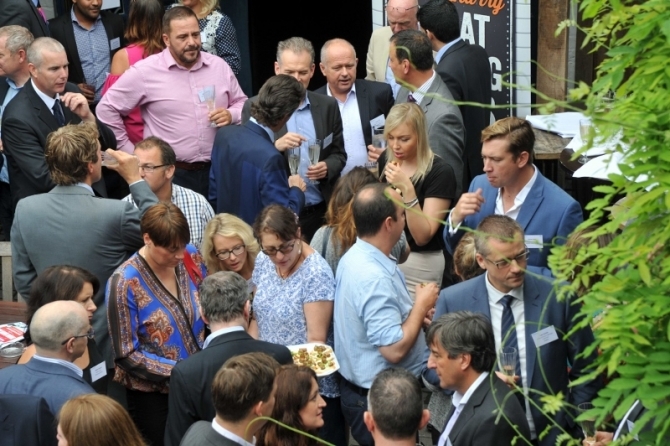 The drinks reception gave attendees the fantastic opportunity to connect with fellow industry professionals, discuss what they had heard, seen and tasted so far, and sample delicious canapés, courtesy of event sponsor Quorn Foods. The interaction continued over lunch, where guests were treated to tasty, innovative pub fare, created by The George IV’s head chef, using mouth-watering flavours and spices supplied by Santa Maria Foodservice. The Telicherry Black Pepper ice cream was a taste sensation that complemented the divine warm chocolate brownie perfectly. It certainly got people talking, as well as taste buds dancing. Those choosing the vegetarian option enjoyed a sumptuous Quorn apple and tarragon pie. 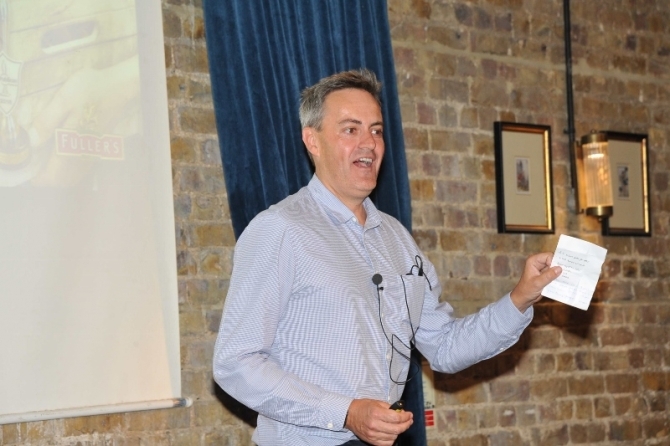 As coffee was served, Jonathon Swaine, Fuller’s Inns’ managing director took to the stage to enlighten and entertain. A short ‘pub quiz’ with prizes, set the scene whilst testing the memories of those on the brewery tour. 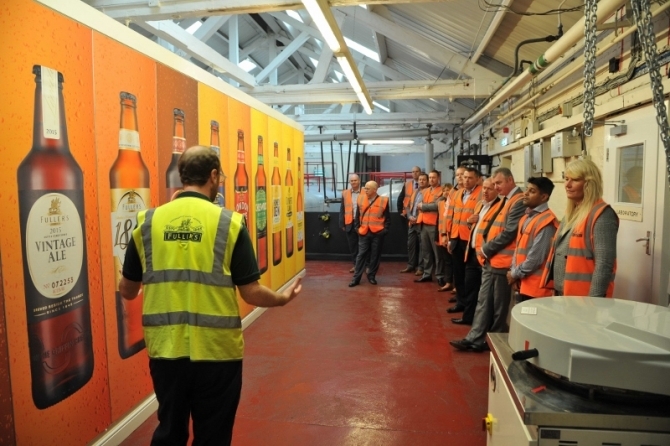 Did you know that 65million pints a year are brewed in Fuller’s Griffin Brewery, with 60,000 tonnes of malt used? 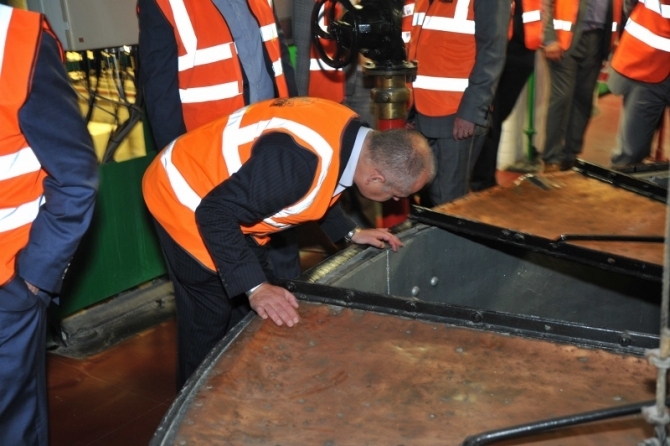 Then followed an insight into the culture of the family run Fuller, Smith & Turner business, which has 170 years of heritage and is known as the ‘godfather of beers’, with a revenue of £350.5million and an estate of 194 individual managed pubs. Since 2013, a service-led strategy has driven the business, paired with an industry-leading food offer. Built on five pillars, the strategy focuses on: the environment and the creation of distinctive, inspiring spaces; premium brands; connecting with customers in line with digital developments and social media; an exciting, fresh food offer, which has doubled in turnover to 80million in the last five years; and engaging service. Engaged people creates engaging service and happy customers. And, to achieve this recruitment, training to make service a point of difference, reward and recognition, and measurement goals are at the heart of getting the very best out of the 4,000-strong team. 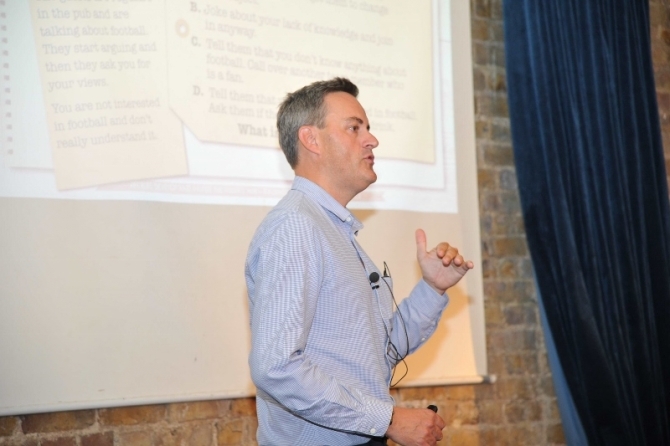 As part of the strategy, recruitment was completely transformed and Fuller’s became the only pub company to introduce online situational judgement tests as the first recruitment stage. This was game changing and improvements in the customer service score were seen soon after its introduction. 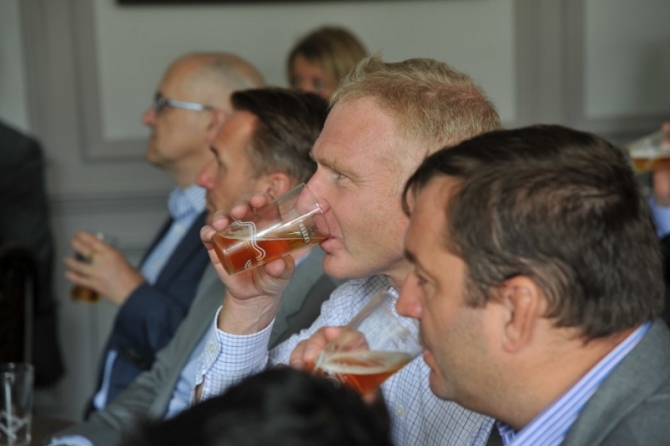 An audience participation exercise enabled the attendees to experience the test and, thankfully, the majority of the hospitality professionals passed! Once recruited, staff benefit from a structured training and development programme that includes reward and recognition for committed service at all levels. 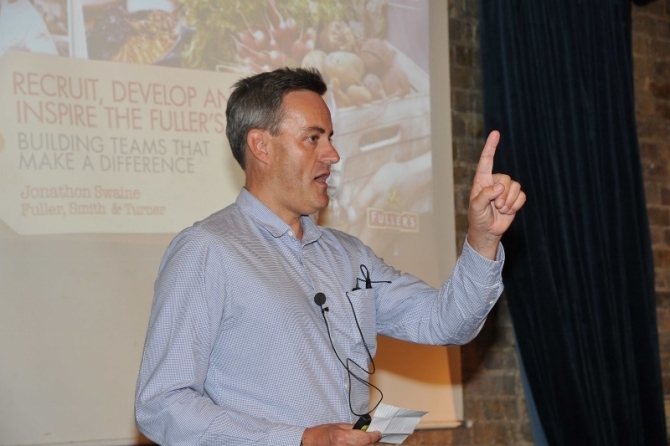 Highlighting the talent that Fuller’s nurtures, Jonathon introduced a few shining stars within the team. These included: Marlon Ford, the original and lead service coach who is an enthusiastic and infectious ambassador for the Fuller’s culture and service; Gavin Sindon, a classically-trained head chef who is a leading light in the Fuller’s chef development programme and winner of Fuller’s Chef of the Year 2016; Laura Jones, the company's first hospitality graduate who has excelled in two general manager posts; and Jane Bravery, who with 27 years’ service has done every job in the business, starting out as a chef and now holding the post of head of operations. He also confessed that Fuller’s has a habit of hiding its food credentials under a bushel. The menus feature fresh food with, for example, 80% of pubs serving hand-cooked chips. Research in 2013 that showed that 44% of those surveyed thought the food was average and only one in four associated Fuller’s with food, was turned on its head with targeted investment in skills and equipment. State-of-the-art kitchens were installed in pubs; the chef development programme was introduced for all levels; the value of working with the right supplier collaborators to create unique dishes is championed; and chefs are empowered to put their own mark on their menus with signature dishes. This strategy was based on listening to customers and it worked. 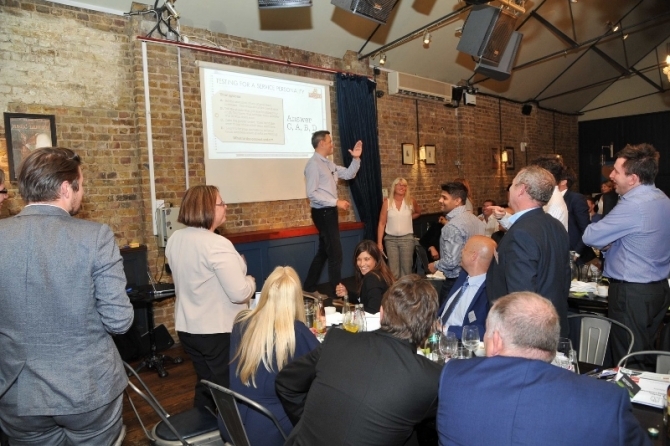 The net promoter score rose significantly to 70% in 2015 from 58% in 2013, and reflecting the company's ambition to be an employer of choice, Fuller's was crowned ‘Best Pub Employer 2016’ at the PMA Awards. 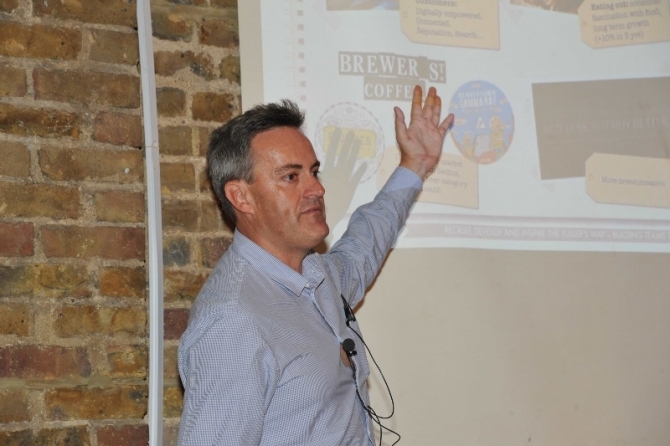 During the question and answer session, Jonathan revealed that: he believes that the biggest challenge in the next 12 months is attracting and recruiting the best people and talent; Fuller’s will continue to move into other categories, such as alcoholic ginger beer, but will also continue to work with key suppliers and partner brands; and that he is inspired by niche players more than the bigger pub chains.